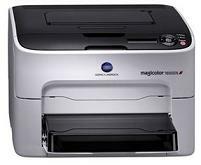 Konica Minolta magicolor 1650EN Color Laser Printer Software and Drivers Download. (Postscript Drivers, Postscript PPD Drivers, PCL Drivers). Konica Minolta Magicolor 1650EN PS and PCL WHQL Postscript Drivers Download for Windows 7 32-Bit and 64-Bit and 2008 R2 64-Bit Version 1.0.16.0. Konica Minolta 32/64 bits Postscript PPD Mini-Driver Ver. 1.30 Download. Konica Magicolor 1650EN Linux PPD file Download Version 0.0.4.